How do you get Merciless in The Division 2? 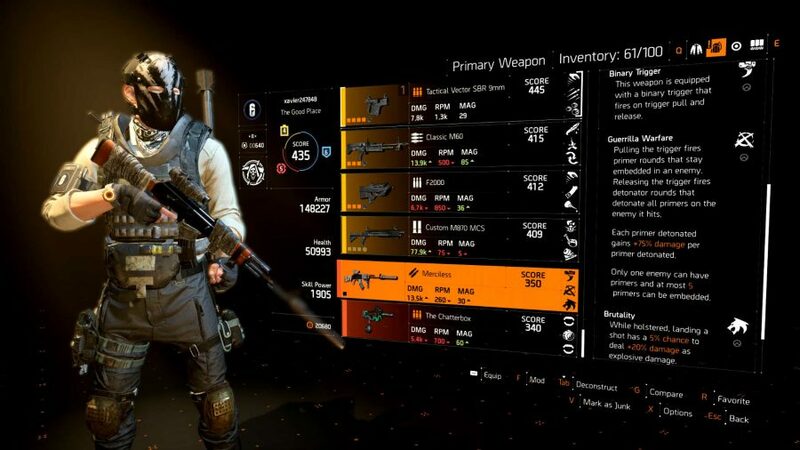 Exotic weapons are the reason why we grind for hours upon hours in Ubisoft’s Washington-set looter shooter, and The Division 2 Merciless Exotic is one of a selection of boomsticks that will transform your loadout in your favour and can be key to creating a number of powerful explosive damage builds So we’re going to help you get it. 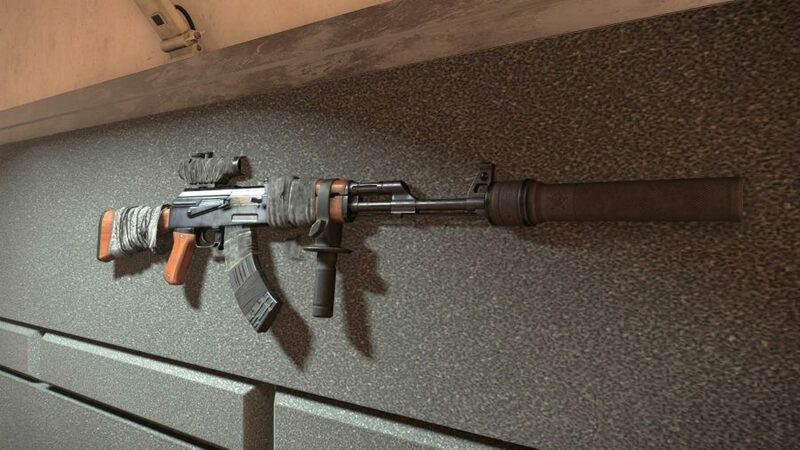 The Division 2 Merciless Exotic is a more powerful version of the Ruthless single shot rifle, which you can get as a pre-order exclusive. It comes packing the Guerrilla Warfare talent that really makes this weapon worthy of its name. This perk turns the first round fired into a sticky primer which, when detonated, gains 75% damage per primer detonated. The detonator deals additional damage depending on where it connects. However, only one enemy can be primed at once, and the max stack is five. It also comes with Binary Trigger – which fires the first shot when you click down, and the second shot when you release the click – so make sure you release that over a primed enemy’s weak spot. The holstered talent, Brutality, is also very strong, lending you a 5% chance to deal +20% explosive damage, which can produce some very strong builds if you pair it with the right brand sets and gear talents. As with any The Division 2 Exotic, Merciless is a tough bit of gear to get your hands on. But, to make things easier for you, we’re going to pass on our top tips so you can add this fearsome rifle to you’re inventory. But you’ve got Strongholds to run and bosses to best, so let’s get to how you can get the Merciless Exotic in The Division 2. Merciless is a weapon from The Division 2’s Hyena faction, so you’ll need to defeat a named boss from that group to get it. We found ours by defeating the final boss during the Bank Headquarters mission, but it is also possible to get it by completing Jefferson Trade Center. You will need to kill the final boss in both cases to have the chance to pick up the Merciless Exotic. One thing to note: as this is reliant on beating a Hyena boss, completing the Invaded version of these missions won’t drop Merciless. To increase your chances of the rifle dropping, change the difficulty of the mission to hard: this will increase the number of drops draining from the final boss once you’ve put the kibosh on them. Also ensure that you run your chosen hard Hyena quest as a full squad of friends, as this allows you to trade with another team member if you’re lucky enough to have multiple instances of Merciless drop. From there, all you can do is keep running Hyena missions on hard and cross your fingers; we got it at our second attempt, but we’ve heard of other players taking more than ten separate runs. And there you go, that’s how to get Merciless in The Division 2. Once it’s dropped for you, we hope you show your enemies, well, no mercy. Of course, there’s loads more we can help you out with when it comes to Ubi’s hobby game sequel, so make sure you’re ready for the eight-player The Division 2 raids when they arrive and that you’re all set for multiplayer with the most effective The Division 2 PvP builds. There’s a dizzying amount to do, so keep coming back to PCGamesN for all the latest guide goodness.